Suzhou city, known as the Venice of the Orient, is going to introduce regulations to protect its 2,500-year-old ancient walls. If approved, Suzhou will become China's third city to have regulations to preserve its city walls after Nanjing and Xi'an. Though the government has been protecting and repairing the walls since 2002, no specific regulation has previously been made until this year. 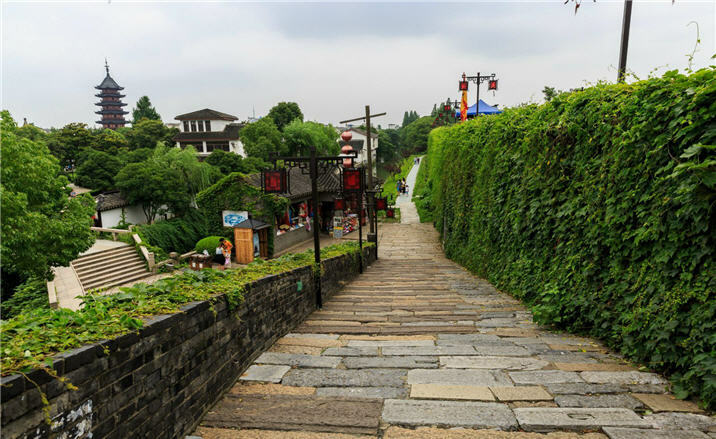 Yu Tongyuan, a history professor at Suzhou University, said the city's ancient walls are in poor condition due to environmental and historical reasons. "Many parts of the walls are missing and new buildings have been constructed on the ruins of some parts," Yu said. The legislation, which is open to public opinion until 19, March, 2017, includes a ban on advertisement hoardings, high-rise buildings, and industrial and commercial structures being built next to the walls or in nearby neighborhoods. The ancient walls relics site is about 15.5 kilometers long, include three gates, ramparts and underground foundations. Some gates are listed as national-level and provincial-level cultural relic protection sites. Experts will be invited to conduct studies on the city walls and make repairs to brickwork.